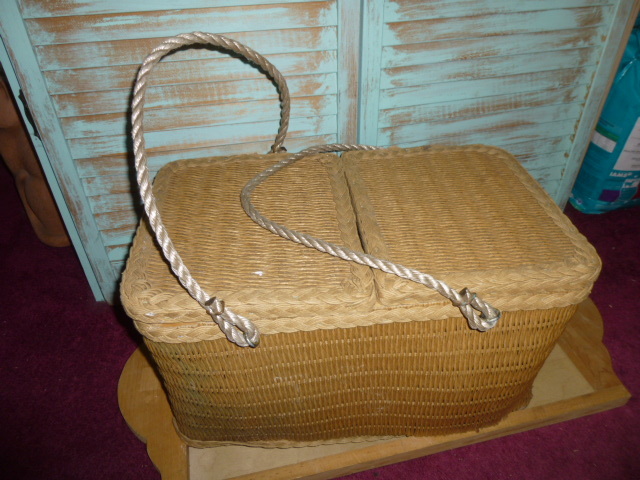 At first glance, this vintage wicker picnic basket looked like a good deal. Upon closer inspection, I noticed a good portion of the front had come loose. 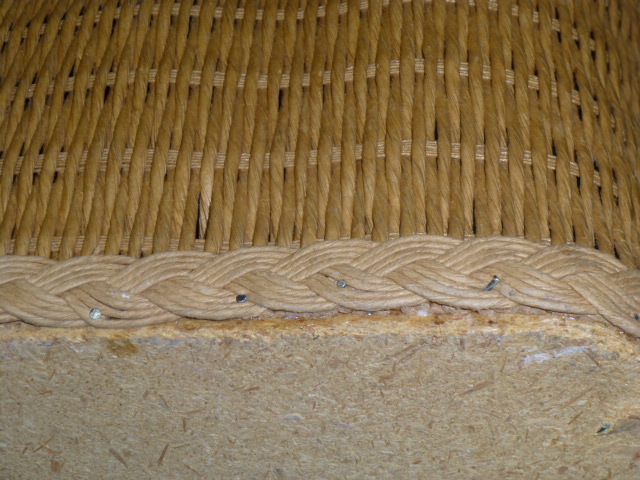 And this spot on the back had the braiding pulled away and fraying. That was really more work than I wanted to do, so I was going to pass on it. My friend, Carolyn who was with me commented, “You can fix that!” And the ‘innards’ were in good condition, and it wasn’t ‘smelly’, so I bought it. 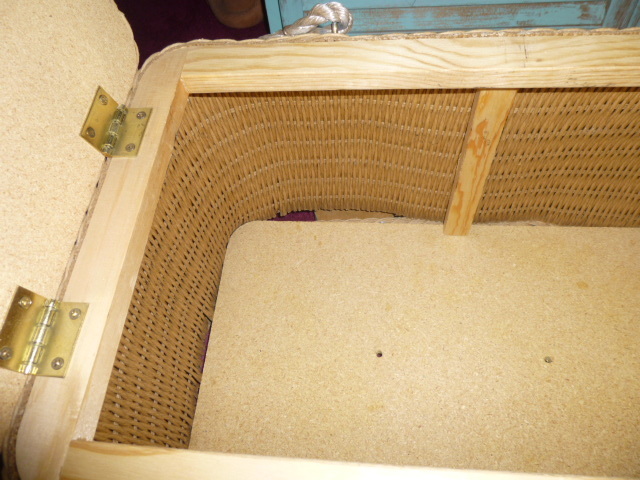 Although WHY they would use HEAVY particle board for the bottom is beyond me. I doubt that I could even lift this thing, let alone carry it if it was full! 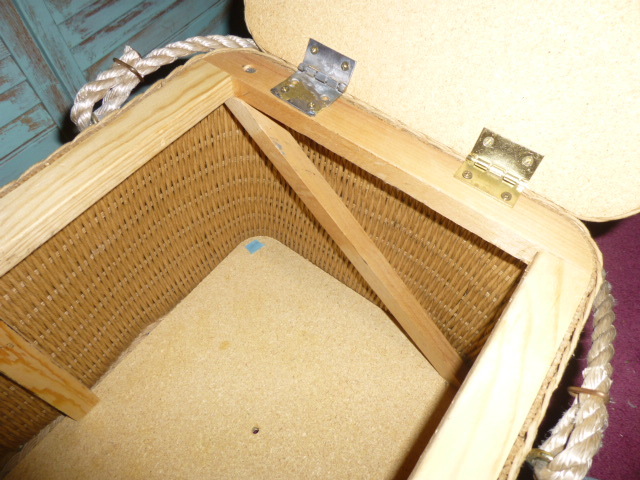 The front trim that had pulled away was fairly easy to repair. 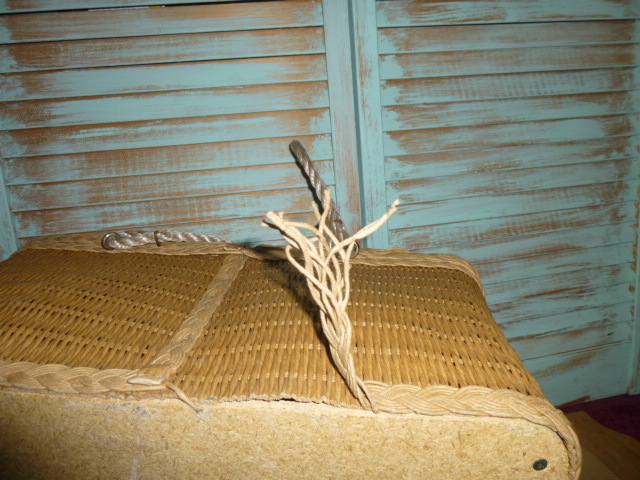 Some tacky glue between the base and the wicker, then small nails through the braiding. Looks like it will hold well for a good bit of time now. 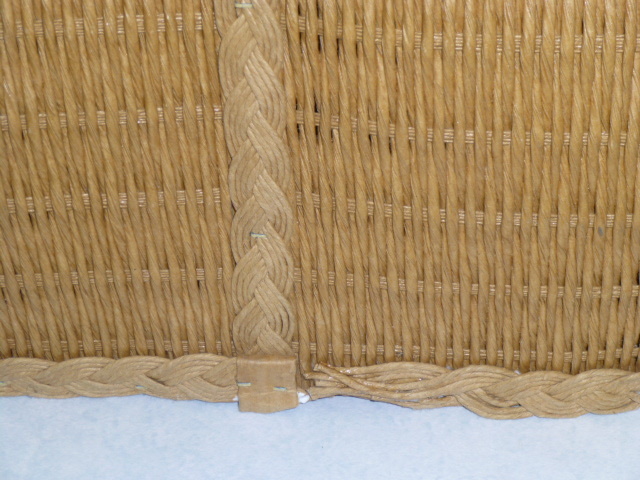 Even the frayed braid on the back ‘fixed up’ better than I expected. Haven’t decided yet if it’s a ‘keeper’ or will be sold. For now I am using it to hide my magazine stash in the living room! Maybe later, IF we ever get some dry weather, I’ll dry brush paint it white. 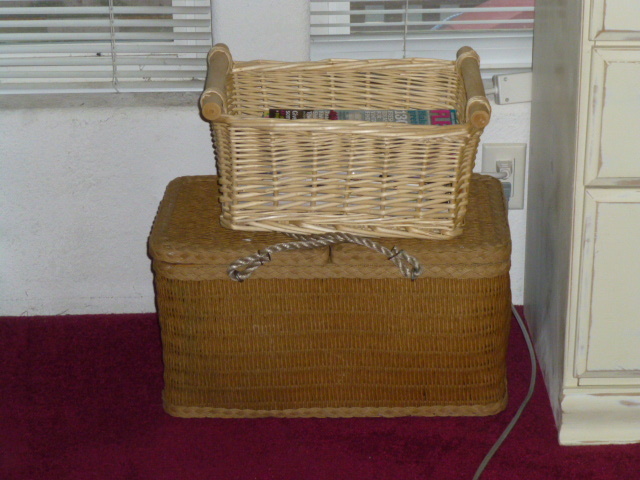 I have this same basket – it does weigh a ton! 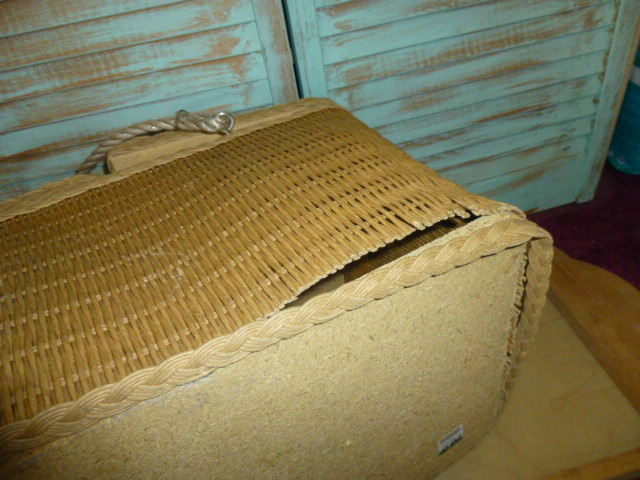 I use it for magazines in the living room also – I like that it is covered and can hide quite a messy stash. I found it at Goodwill for $3.00.